Here are the upcoming events that are happening around NSAD. You can view details by clicking on the title of the event. To view the Peak North Vancouver schedule, click here! Participating groups include Half Day Performance Group, BPM, EMC, Night Vision, Adult Performance Group, Black Diamond Jazz, Black Diamond Lyrical, Crystal/Diamond Contemporary, Crystal/Diamon Lyrical, Sapphire/Crystal/Diamond Jazz and Sapphire/Crystal Broadway. Please ensure that your student arrives 1.5 hours prior to their performance time to ensure they are warmed up and ready to perform. Good luck to all! RAD Ballet Examinations and Class Awards will be taking place for select candidates. Arrival times and further details have been emailed and posted at the studio. Good luck to all participants! To view the final Synergy North Vancouver schedule, click here! All performance groups and solos, duos, trio's will be competing at Synergy North Vancouver from April 30th-May 5th. Please ensure that your student arrives 1.5 hours prior to their performance time to ensure they are warmed up and ready to perform. Good luck to all! To view the Festival Du Ballet schedule, click here! All ballet performance groups, solos, duos and trios will be competing at the Festival Du Ballet from May 12th-May 15th. Please ensure that your student arrives 1.5 hours prior to their performance time to ensure they are warmed up and ready to perform. Good luck to all! To view the updated Peak Whistler schedule, click here! All performance groups and solos, duos, trio's will be competing at Peak Whistler from May 16th-May 20th. Please ensure that your student arrives 1.5 hours prior to their performance time to ensure they are warmed up and ready to perform. Good luck to all! The studio will be closed from Friday May 17th until Monday May 20th. We will re-open for classes on Tuesday May 21st. Have a wonderful long weekend and good luck to all of our performance groups competing at the Peak Whistler Competition! Performance class auditions and sample classes will take place on June 17th, 18th and 19th. 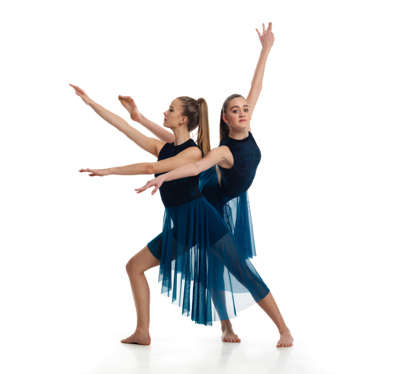 This will be a great opportunity for your student to audition for our 2019/2020 performance groups, as well as to try different genres of dance. A schedule for auditions and classes will be released closer to the date.